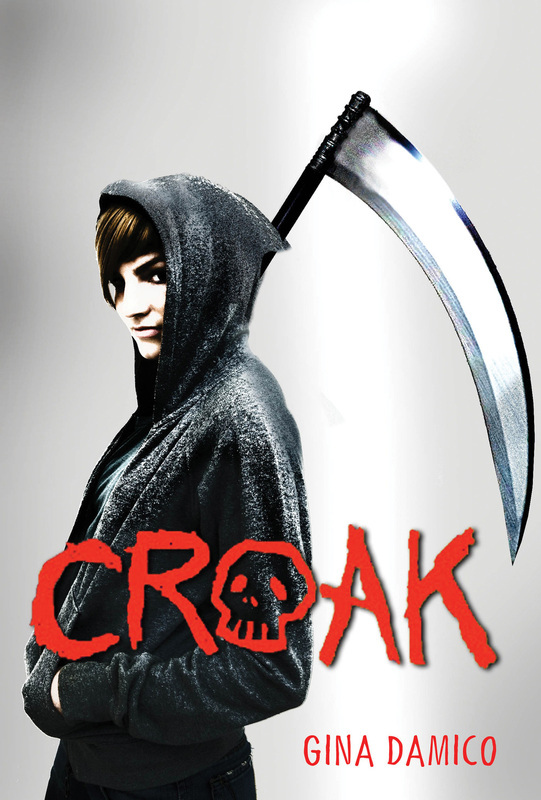 Croak used to be the only place where Lex, a teenage Grim Reaper, felt like she fit in. but after she let the murderous Zara get away--and inadvertently transferred her ability to Damn souls to her on top of that--Lex is a pariah in the little town full of Grims. Her Junior Grim friends have stood by her, but that has only made them outcasts. Meanwhile, Zara is still out there Damning innocents, and no one is safe. It's up to Lex's Uncle Mort, mayor of Croak, to protect the townspeople. But when tragedy strikes, the Grims rise up against him, too. To escape their wrath, Mort takes Lex and the other Juniors on a wild road trip to DeMyse, a glitzy Grim city, where they can hide out until the chaos in Croak subsides. Though this sparkling desert oasis is full of luxuries and amusements, Lex wants nothing more than to return to her simple little town and the good graces of its citizens. Her best chance at that would be to stop Zara once and for all--but how can she do that from DeMyse, where the Grims seem mysteriously oblivious to Zara's killing spree? Lex needs to track down the secret book that would make Zara even more dangerous. But she has no idea of the chilling lengths her nemesis will go to in order to find it first.